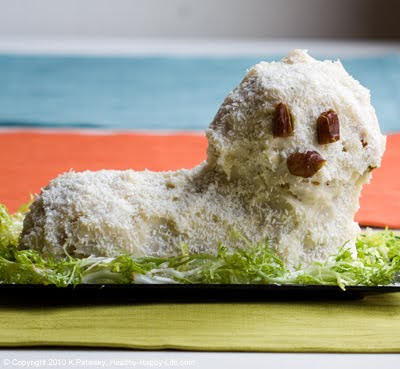 Easter Swirl Lamb Cake. 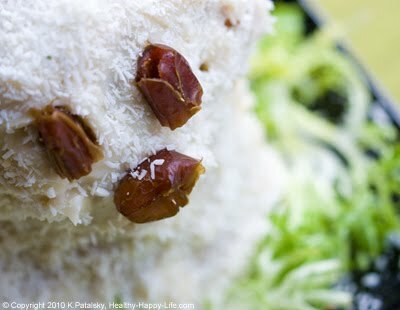 Veganized Family Recipe! 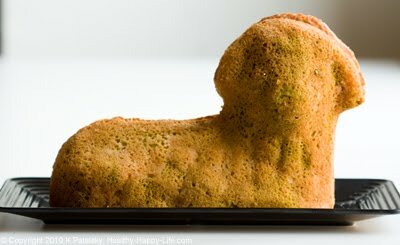 Traditional Lamb Cake. 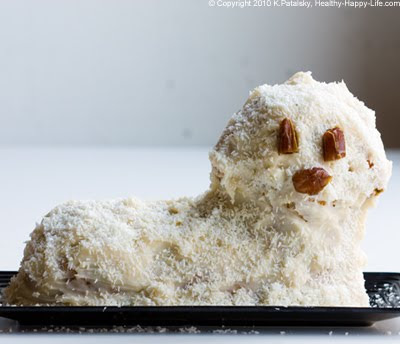 Gooey whipped egg white frosting, smothered over a fluffy, dense pastel swirled cake (with 4-5 eggs in the batter, colored by store-bought artificial food coloring) all covered in sweetened coconut flakes and date "eyes and nose" to complete the lamb look. Then a nice pile of fake green grass and homemade dyed Easter eggs around the cake platter edge. 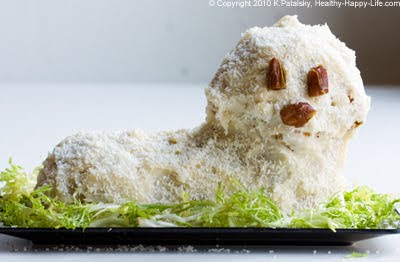 I dreamed about this cake for months before Easter. Better than a chocolate egg. I knew I would never be able to get my cake to rise the way that 4-5 egg lamb cake used to! 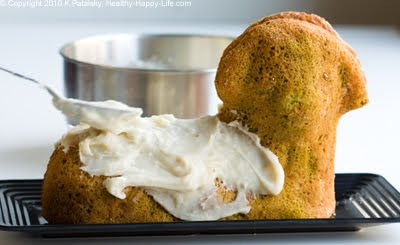 So I decided to nix the one-side filled cake mold, and I simply filled both halves of the lamb cake mold with batter. I then secured the cake with toothpicks. 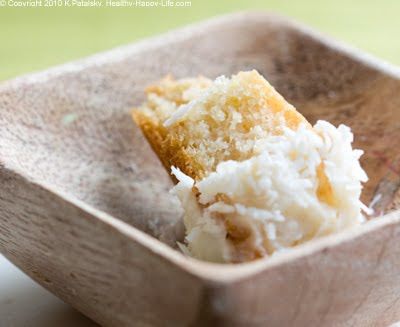 You can use toothpicks or leftover frosting. Worked well. Also, yes I know I arranged the date "eyes and nose" in more of a "looks like a dog" way. But if you angle the date nose vertically - you'll get a more "Lamb" look. I'll admit it - I was rushing a bit. But the taste saved the day..
1. Tend to the frosting. See details in frosting recipe post. 2. Preheat oven to 375. 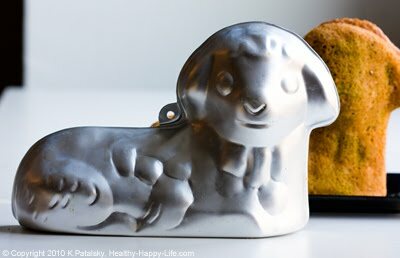 Grab lamb cake molds. Note: You can also make a regular two-layer cake or use another cake mold with this recipe. Grease and flour the cake tins very well. Set aside. 3. In a large mixing bowl, add flour, sugar, salt, baking powder. Mix well. 4. Fold in water, soy milk, yogurt, applesauce, oil and vanilla extract or seeds. 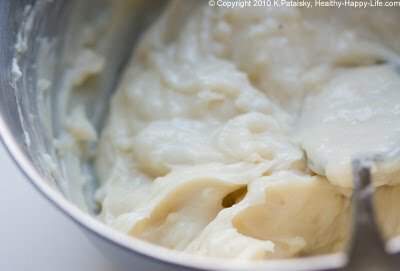 Pour 1 cup of the batter into a separate small bowl, and another cup into another small bowl. 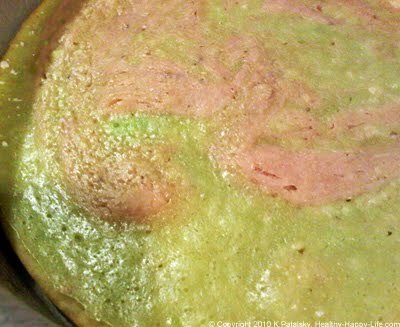 Add 1-3 tsp of veg/fruit food colorings to the small bowls (one pink, one green) Stir until well colored. 5. 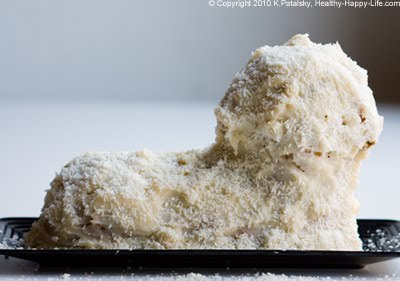 Grab your molds and pour the white batter (big bowl) into the cake pans - about 1/2-3/4 full. note: the tin comes with a vent hole on one side - I covered it with a secure piece of tin foil. 6. Next swirl in a few Tbsp of each color into the cake pan until you get a nice swirled cake color. 7. Place pans in oven, and bake at 375 degrees for 35-40 minutes. 8. Remove cake and allow to cool fully until you remove cake from pans. Loosen with knife. 9. 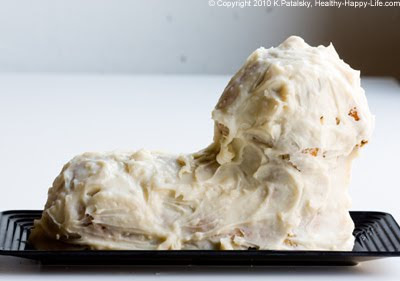 While cakes cool, grab your chilled/firmed frosting, fold in whipped rice cream (as in frosting directions) until you get a white fluffy mixture. 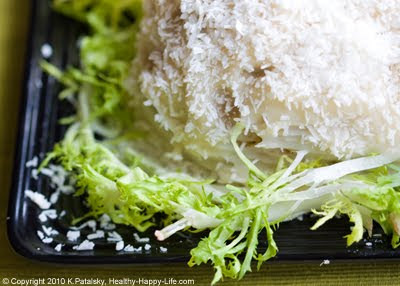 You can even use more rice whip than recipe calls for, for a fluffier, softer frosting. 10. Set up lamb cake molds. You can use toothpicks OR frosting to secure two sides of mold. 13. Add date eyes and nose, secure with toothpicks. 15. 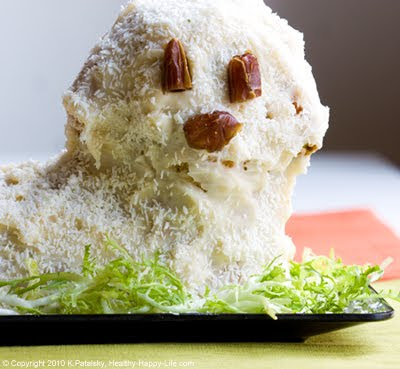 Serve or store in fridge (wrapped in plastic or wax paper) until ready to serve. 16. Serve at room temperature-slightly chilled temp. 17. Will keep in fridge for a few days. Me and my Lamb Cake. Circa 1996. My sister snapped this goofy pic of me smiling silly - frosting face and all. Like I said, I loved that gooey luscious egg white frosting. And as you can see, most of the frosting got on my face and in my mouth rather than on the lamb. ha ha. good times. 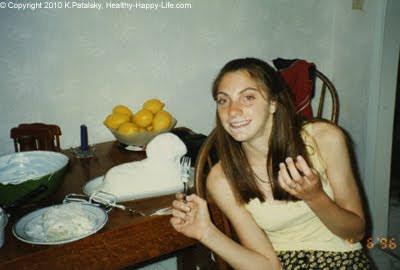 I was a freshman in high school, yet still a cake-loving kid. Enough self-embarrassment!